Mike Papoosie, 14, often doesn&apos;t know what to do once the library closes at night. He doesn&apos;t want to go home just to stare at the wall in his tiny bedroom, he says, because it will make him crazy. Instead, Mike (whose name was changed for this story in order to protect the health of a minor) and his friends wander the icy roads of Clyde River, Canada, migrating like a pod of narwhal. In Clyde, this is one of the most popular activities for teens. They trudge along the snow-packed gravel, joking and talking and scanning the sky for northern lights. If they reach the end of the road, where snowy tundra takes over, they turn around. There is no destination in mind, anyway. They just try to stay moving, to keep some momentum in their lives. A new kind of nomadism. "This town," Mike says. "It drives some people insane." High above the Canadian treeline, deep within the Arctic Circle, there is a town called Clyde River. The small settlement, a scattering of one-story homes built on stilts, perches on a rising hillside over an inlet by the same name. A steady wind soars off the Arctic Ocean and sweeps across the snowy tundra, enveloping the town from every direction. In winter, temperatures regularly dip to -25 degrees Fahrenheit; in summer, they rarely reach heights of 50 degrees. Home to about 1,000 people, Clyde River is one of the most isolated places in the world. A single road links the town&apos;s houses, but it ends abruptly when it meets the tundra. The nearest neighboring town is hundreds of miles away—about the same distance as the shores of Greenland across the Arctic Ocean. 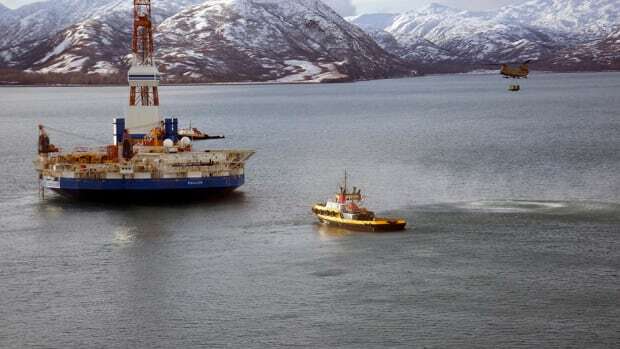 The only way to reach Clyde—or to leave—is by a three-hour flight to Iqaluit, the capital of the Canadian territory Nunavut; or a weeks-long trip on the sealift barge that arrives once a year. Clyde River can be a very lonely place. For thousands of years, nomadic Inuit ranged across the land and sea, hunting seals, polar bears, narwhal, and the occasional bowhead whale, and fishing for arctic char and salmon. They were experts in self-sufficiency—thriving, for millennia, in the harshest conditions known to man. Back then, the isolation of the Arctic didn&apos;t mean loneliness. It meant freedom. But now, the Inuit of Clyde River and other communities in Nunavut face unprecedented challenges. With polar sea ice descending to record lows and wintertime temperatures ascending to astonishing heights, climate change directly affects their traditional way of life. Change is nothing new here. In the last six decades, the Inuit have seen a rapid and unprecedented transformation in their way of life. Within a single generation, they endured an erosion of their land rights and forced relocation to permanent settlements; their dog teams were slaughtered and their children were taken to far-off residential schools where abuse ran rampant. These rapid social changes introduced a slew of associated problems: drug and alcohol addiction, child abuse, food insecurity, depression, and anxiety. Now, however, all of these traumas are being compounded, as the very landscape upon which the Inuit survive changes in dramatic ways. 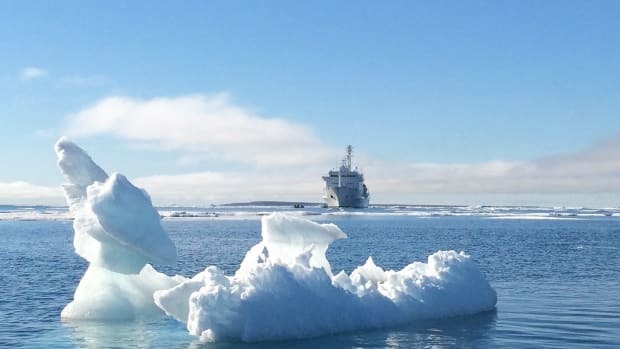 "The Canadian Arctic is widely regarded as a global hotspot of the effects of current and future climate change," researchers reported in 2014 in the American Journal of Public Health. 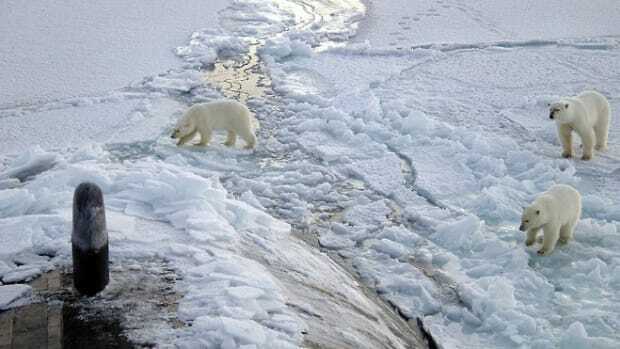 The debate, others say, is no longer over whether climate change exists; the conversation has quickly shifted to what to do about it now that communities have already begun experiencing changes. In the Arctic, annual sea ice began forming later and sometimes not at all; then multi-year ice began melting in the middle of winter. The surfaces upon which hunters travel have become more treacherous and difficult to assess; often the ice looks solid from above, but has melted from below. Unpredictable and severe storms crop up suddenly while hunters are out on the land, leaving even the most experienced hunters stranded for days—and some don&apos;t make it. Even the animals themselves have changed, with new behavior and migration patterns. To protect vulnerable species, the wildlife office of Canada&apos;s Department of the Environment monitors animal populations and enforces strict quotas. Hunters may only kill and eat a handful of polar bears and whales each year; the caribou hunt is even more limited. Such insecurity in the face of a melting world affects every part of life, from finding enough food to holding on to traditions. But it goes deeper than shifts in the landscape: Climate change has a profound effect upon mental health. 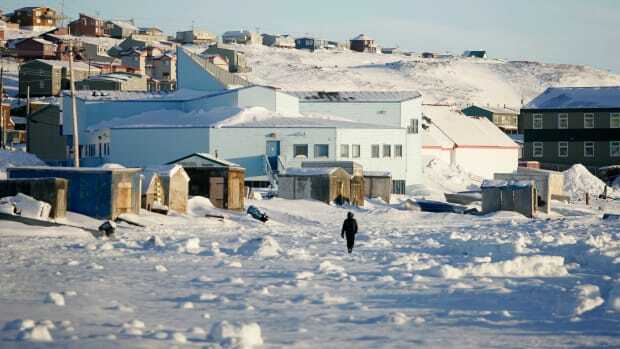 Nunavut is ground zero for climate change, but it may also be ground zero for suicide. Nunavut has one of the highest rates of suicide in the world: 10 times the rest of Canada, and similar to that of Greenland, which has been dubbed the suicide capital of the world. Experts have called it a public-health emergency, and in October of 2015, Nunavut&apos;s premier declared youth suicide a crisis. Among teen boys—young men who have seen their futures melt away like glaciers—the suicide rate soars up to 40 times their Canadian peers. When Mike is around his friends, he is loud, frenetic, dramatic—drawing all the light in the room to himself. "Mental health?" he says. "Oh, I can talk about that." He and his friends hang out in the library of the Ilisaqsivik Society, a community center that offers everything from wellness programs to Wi-Fi. When the center closes at 10 p.m., Mike hesitates. He&apos;s scared to go home, scared of the thoughts that await him there. He describes his life in one simple word: "chaos." Like a box of puzzle pieces, he says; random, messy, displaced. When he is with his friends, he can escape into a kind of distracted happiness. But when he sits alone in his dark, cramped bedroom, staring at the blank wall across from his unmade bed, he can&apos;t hide his creeping sense of fear and dread. At home the next day, he is like a different kid; quiet, introspective. His voice is barely audible as he speaks about the depression plaguing him. "It&apos;s kind of hard [to find] relief," he says. "All the things that people go through. The losses." Mike remembers experiencing signs of depression when his grandfather died a few years ago. He was 12 or so, and suddenly he found it hard to get out of bed. The same feeling of emptiness rose up again a few months ago, when his ex-best friend began bullying him, Mike says. Now, he admits in a whisper, he worries that he might harm himself. "Each person has their certain time to snap," he says. "Hunting used to kind of relieve that." Hunting, Mike says, always brought him peace and a sense of balance. "The quiet. So silent," he says. "Hunting out on the land—it&apos;s like setting your mind free." But Mike hasn&apos;t gone hunting since his grandfather passed away. He doesn&apos;t have a boat, much less the experience required to navigate an increasingly dangerous environment—reading the waves and the clouds for impending storms, or recognizing thin or unsteady ice. These days, hunting is a gamble even for the most experienced hunters. Mike leaves his house and begins wandering outside again. He stops along the shore of Clyde River Inlet, staring over the moonlight-shimmering ice beginning to form over the water. The solution is so close he could almost touch it. Yet it remains out of his reach. Being out on the land—hunting, fishing, camping, dog-sledding—is an integral part of being Inuit. "Inuit identity, conceptions of the self, and mental wellness are directly and intimately linked to the environment," writes Ashlee Cunsolo Willox, director of the Labrador Institute at Memorial University of Newfoundland, who has conducted extensive research on the link between climate change and mental health in Inuit communities. "This connection to the land lies at the heart of being Inuit," Willox notes. "For many, watching a familiar landscape, as well as climatic and environmental conditions, change around them was upsetting, depressing, and disorienting." "I want to be a hunter," Markoosi Illauq says. "I wish I could hunt until I die." 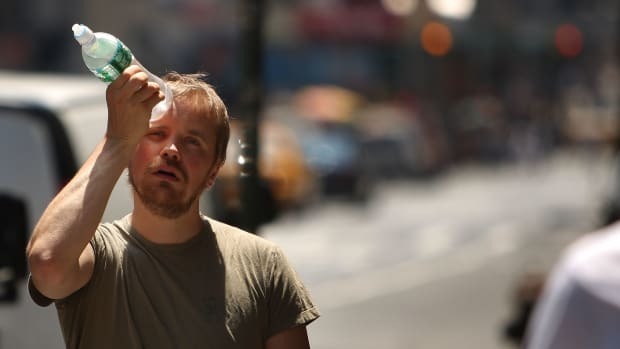 Up to 50 percent of all people exposed to extreme weather disasters may experience adverse mental-health effects, according to the Union of Concerned Scientists, from depression and anxiety to post-traumatic stress syndrome. 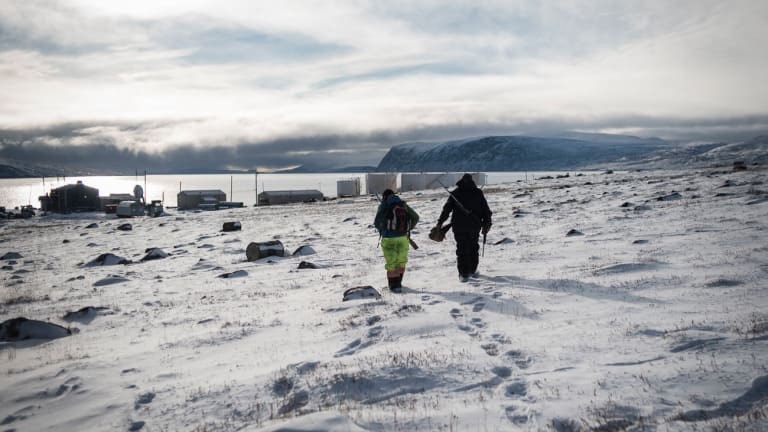 Health workers in the Canadian Arctic have reported direct links between unusual and extreme climatic events and increased rates of suicide. Young people are particularly vulnerable to destabilized mental health in a changing world. 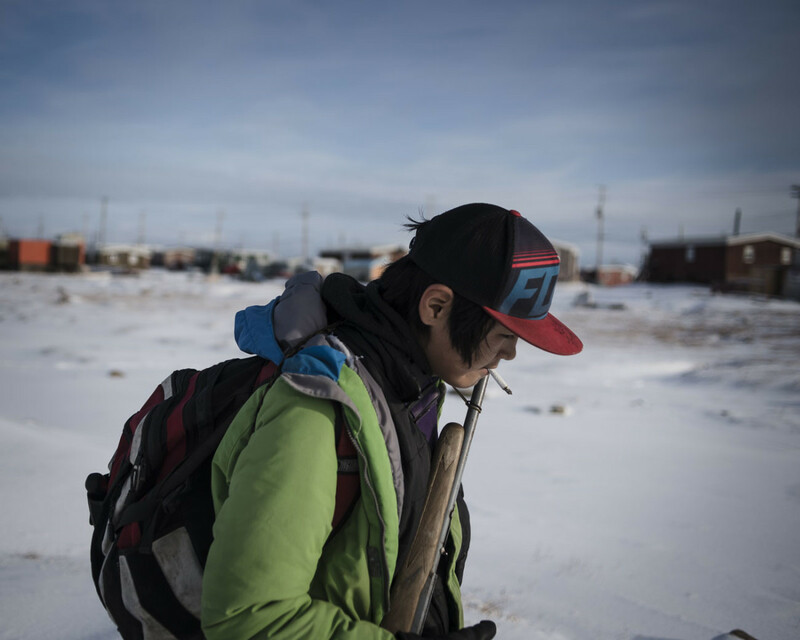 "Suicide among young Inuit in the Canadian Arctic is at an epidemic level," one report notes. And more than half of the entire population of Nunavut is under the age of 15—twice the national average in Canada. But one proposed solution is surprisingly simple: provide support and guidance from elders. This companionship not only helps Inuit youth connect with millennia of their own history, it also gives them a bridge to move forward. Returning to the land helps relieve the depression and stress surrounding climate change—and helps the Inuit build resilience to those changes, researchers find again and again. A return to nature could help ease traumas caused by nature. One grassroots community organization is taking these statistics into the real world. Ilisaqsivik was founded in 1997 by locals looking for wellness programs that would resonate within Clyde River—counseling sessions that would address their needs without making them feel exoticized or less-than; programs that would speak to the community&apos;s unique needs in their own tongue. Kids like Mike hang out at Ilisaqsivik after school—it offers the only free Wi-Fi in Clyde River, plus a computer room, a library, and other resources. Ilisaqsivik provides a laundry list of services for the community, hosting prenatal nutrition programs and preschool and also elder meetings. And the organization offers mental-health programs with counselors who speak Inuktitut—a rarity anywhere in the Canadian Arctic, or in any Arctic region for that matter. But Ilisaqsivik doesn&apos;t stop at talk therapy sessions. The organization offers a program that recognizes the Inuit connection to the land—hunting and camping trips with elders and counselors. Markoosi Illauq, 15, is the first to spot the seal. He taps his grandfather on the shoulder and flings his arm out wide to the right. Without saying a word, his grandfather, Joanasie, changes directions and guns the motorboat toward the dark head bobbing in the waves. "It&apos;s a ringed seal," says Nanasi, Markoosi&apos;s uncle. When the head surfaces above the water once more, Nanasi is ready: he fires the rifle with a loud pop. But the bullet splashes into the sea, and the seal dives down deep. The three hunters wait, scanning the area carefully for the seal&apos;s re-appearance, for about 10 minutes. Markoosi keeps a rifle pointed over the edge of the boat. But the spooked seal stays deep in the frigid Arctic water, and reluctantly the trio motors away. Markoosi began hunting with his grandfather when he was 10; about once a week, he joins Joanasie and an uncle or two to hunt for seal, waterfowl, and, if they&apos;re lucky, narwhal—Markoosi&apos;s favorite. "I really like to hunt narwhal," he says, his standard reticence giving way, for once, to unexpected enthusiasm. "It&apos;s very fun." Although Markoosi has learned some hunting techniques from family members, he also participated in a two-week mentorship program through Ilisaqsivik. His mentor was an older hunter in the community, a man named Leroy. Markoosi learned how to navigate the water and ice, how to spot animals and how to take aim. It gave him an enormous boost of confidence in himself and his abilities. Although Markoosi has the opportunity to hunt with family members, he credits Ilisaqsivik with teaching him how to hunt—and how to navigate a changing world as safely as possible. 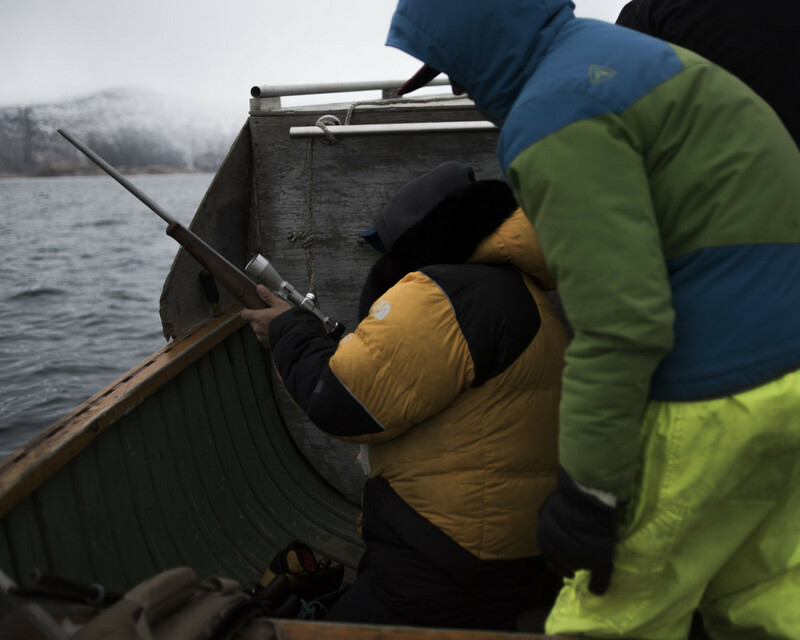 Markoosi Illauq (right), 15, points out a seal while his uncle takes aim. More than advice and experience on how to hunt, however, the mentorship program offers Markoosi rare emotional support. The young man calls Leroy his friend, despite the age difference. If Markoosi is ever feeling down, Leroy can help him work through his feelings and, perhaps, gently encourage him to see a counselor at Ilisaqsivik. Having a trustworthy father figure outside of his family will help Markoosi keep perspective if he becomes depressed or anxious—if this uncertain life ever seems to be too much to handle. In Clyde River, everyone knows someone who has contemplated or committed suicide. The Illauq family is no different. Several of Markoosi&apos;s uncles, aunts, and cousins have attempted or committed suicide. His uncle, Nanasi, once resuscitated another family member who attempted to take her own life. The first time you see that happen, Nanasi says, you don&apos;t forget it. The image of her motionless body stayed in his mind long after he saved her life. Suicide is a problem, Nanasi says, because "they&apos;re thinking too much." In a town like Clyde, where free time seems to stretch endlessly on, there is little else to do. Nanasi understands the impulse. Two years earlier, he had contemplated suicide himself. "My life was up and down." His hand rises and falls like a roller coaster. "It was too hard. Everything was hard." But he was loath to seek counseling. In Inuit culture, strength, silence, and self-sufficiency are highly prized traits. "I don&apos;t go there to talk," he says of the therapy programs available in Clyde River. Instead, he prefers to walk the icy roads of the town alone—or, even better, to go hunting. Out on the land, he says, "there&apos;s nobody around to make me mad or make me depressed." Markoosi finds similar joy in hunting. "It makes me happier," he says. If he couldn&apos;t hunt, the stoic Markoosi says, "I would cry." He worries about climate change, but he hopes he can learn enough to hunt safely on his own as an adult. "I want to be a hunter. Full-time hunting." "I wish I could hunt until I die," he says. Mike&apos;s grandmother putters around their kitchen, cooking polar bear stew and humming gently. "She&apos;s the one usually making country food," Mike says lovingly. He is very close to his mother, sister, and grandmother, all of whom live in the same house. His misery over the past few months has not gone unnoticed, and he says his mother encouraged him to see a therapist. Counselors are available both at the local health center and at the community center where he hangs out with his friends. But Mike is afraid. Not of what the therapist might say or whether rumors might circulate—reasons many of his peers express for not seeking help—but rather of what he might learn about himself. "I&apos;m afraid to know what I&apos;m afraid of," he says. He worries he might discover something irreparably broken in himself. "Like there&apos;s something missing." Like Nanasi Illauq, Mike views his depression and suicidal thoughts as a kind of test he needs to pass on his own. "You gotta go through the hard stuff before it gets easy," he says. Although he&apos;s an outgoing, talkative teen, Mike also doesn&apos;t like the idea of talking about his thoughts and feelings with a counselor. Still, he hasn&apos;t ruled out seeking help. "I&apos;ve been thinking about it," he says, a question lurking in his voice. He wonders if he would qualify for the hunting mentorship program offered by Ilisaqsivik. Hunting would provide an outlet for his restless thoughts—and it would connect him to thousands of years of his heritage. Perhaps, he thinks, that is what is missing. Mike returns to his previous analogy of his life as a box of chaotic puzzle pieces, and says the image is beginning to change. "The puzzle piece thing is still in my mind," he says. "Thinking of opening it." Puzzles are overwhelming at first, he admits, but once you begin the work of putting them together, they become much clearer. They start to form a bigger picture, and soon you realize what you need to move forward. The reporting for this story was supported by The GroundTruth Project. Melody Schreiber is a freelance journalist based in Washington, D.C., who has reported from nearly every continent.